It’s been more than a year since the first time this idea came to my head, moving to Windows after so many happy years on Mac. It was really a mixture of at least three things: a need of more battery life, Windows 10 apparently being a decent OS (and with Ubuntu shell!) and Apple going crazy removing ports and welding everything. My first contact with OS X was like 8 years ago setting up a hackintosh on my PC, I instantly fell in love with OSX, I was finally able to work without stability or speed problems. Shortly after that I bought a Mac Mini and started saving for a new MacBook. In this 5 years the MacBook has had 0 hardware problems if we exclude the lack of battery life and excessive heat problems that really don’t stop the laptop to work. For OS X I have only good words, in my opinion this is by far the best of having an Apple’s laptop, OS X simply moves aside and let you work, no driver’s problems, no viruses, no waiting for anything, and this is better with each new OS version. Then, why? why moving out from Apple and not buy a new Macbook Pro? Because of the hardware. The first years of my Macbook I was always using it at home plugged to the electricity, but battery cycles were going up and the battery getting old and I couldn’t do anything as it wasn’t removable. When I started using the laptop outside the battery was lasting only about 3 hours and I couldn’t do anything as it was glued to the case, this annoyed me a lot and it was the seed for my future separation from Apple. Other minor issues like the excessive heat, that in a hot climate is not so minor (I live in Spain), also helped. So the search began, I needed a laptop with removable battery and those things that developers need, specially those like me that work remotely and like a lot to work on different places and cities throughout the year (digital nomad). After a lot of “Macbook wannabe” models, I found something different with it’s own personality, the Lenovo’s Thinkpad line, rock solid laptops ready to work in any environment and with almost any piece interchangeable. I was like a year thinking about this movement since the first idea of buying the Lenovo. The first model that caught my eye whas the T460 and then the new 470 line came out with three different models, the T470, T470S and T470P. The T470 was my choice in the beginning, but the lack of retina like screen and no different graphic card than the default intel’s integrated one, made me change my mind to the final choice, the T470P. I was really more uncomfortable about the software change than the hardware change, there had been a lot of happy years with OS X, and I’ve really never liked previous Windows versions. Before changing to OS X I was using Ubuntu, and the last windows version I have really used was Windows XP (oops!). But some friends were telling me that Windows 10 was really good, and the fact of having bash directly into windows convinced me that this was a good movement. I was ready to order my future laptop, but I discovered that this model was available only directly from Lenovo. I was forced to order it online from its web as it was manufactured on request for each order. The other problem was that I wouldn’t be sure about the days all this will take as they was building the laptop for me in China! Only information available on Lenovo’s web about the shipping time was a short phrase that explained nothing: “Ships from 7 work days”. No problem, I ordered the laptop and thought to myself that this would be a 1 month work. 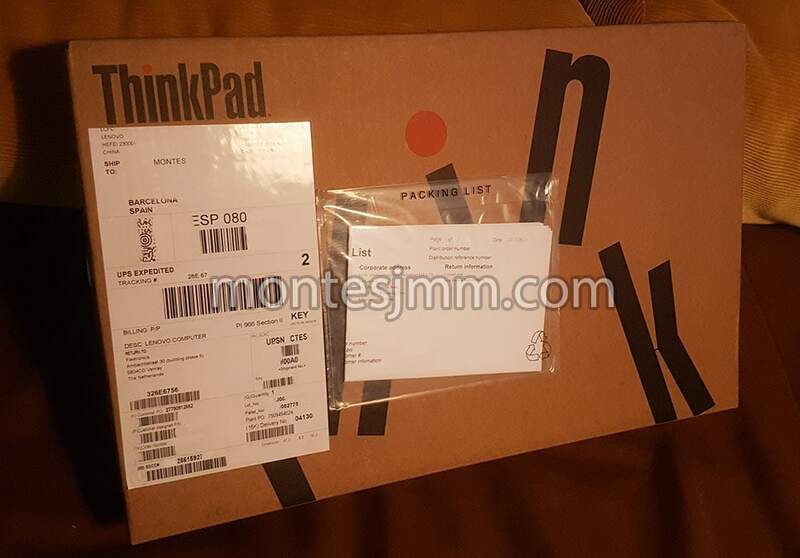 The August 16 I put the order and sent the money transfer to the Lenovo’s bank account in Spain (I was ordering from Barcelona). Three days after that, the August 19 I received an email confirming my laptop would start to be produced. And only another 5 days (24 August) and I received the good news! shipment confirmation! 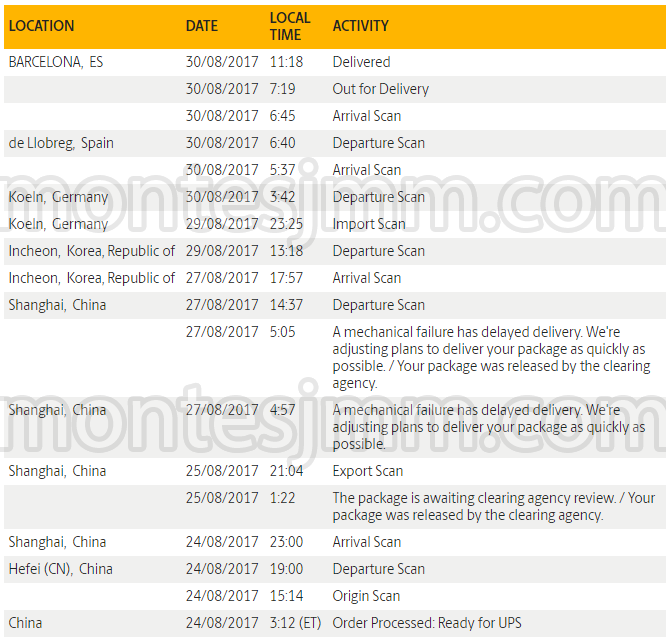 and an UPS link for the shipment tracking, it would be a long way for it: China -> Korea -> Germany -> Barcelona. 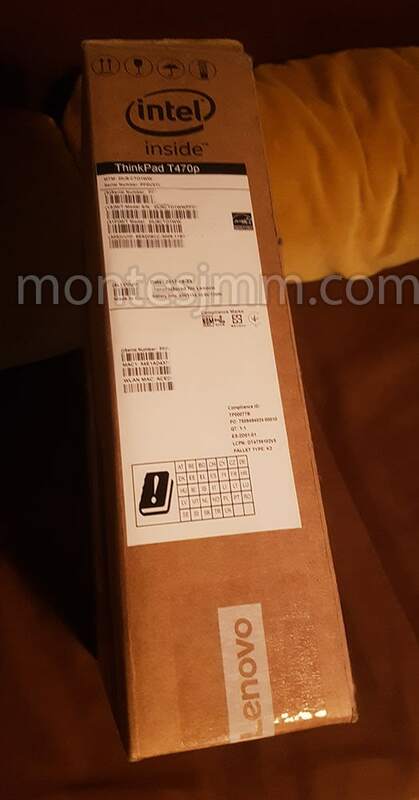 The estimation for delivery was the 30 August and it became a perfect estimation, the 30 August I had finally my new laptop with me. It have been a total of 14 natural days from the initial order to my home. And yes! it’s really here and I’m writing this post with it. The first impression is that I’m really happy with the hardware change, MUCH less heating, huge battery life, less weight… but I’m in the middle of the adaptation to Windows and it’s being as I imagined, really hard. I’m very used to OSX programs and its shortcuts, I really like (liked) them, and I’ve never really liked windows… One program I’m trying to help with OS migration is Antsoft Key Manager, it allows to remap any key combination to whatever you want. The transition it’s not really hard about the development software as is basically the same on both OSes, the IDE, PHPStorm and bash tools like Gulp. Except for the bash itself, I totally dislike windows native ubuntu bash support it’s broken, the performance is terrible, it seems there is some cross file systems problem that becomes on long waits (it can be more than a minute) for a “git status” or problems if you want to write in ubuntu’s home directory (yes, there is a home directory for windows and another one for windows’ ubuntu bash and you are not free to write on ubuntu’s one from windows programs). I’m testing several options for bash on Windows 10, this is crucial for me as I use bash all the time on my work. In this moment ConEmu + MinGW-w64 is the winner option, MinGW was installed by Git for Windows setup, I’ve installed also Ruby, Compass and Node.js for Gulp compilation tasks.